We know that having an easy way to report on your data is just as critical as having an easy way to collect it. 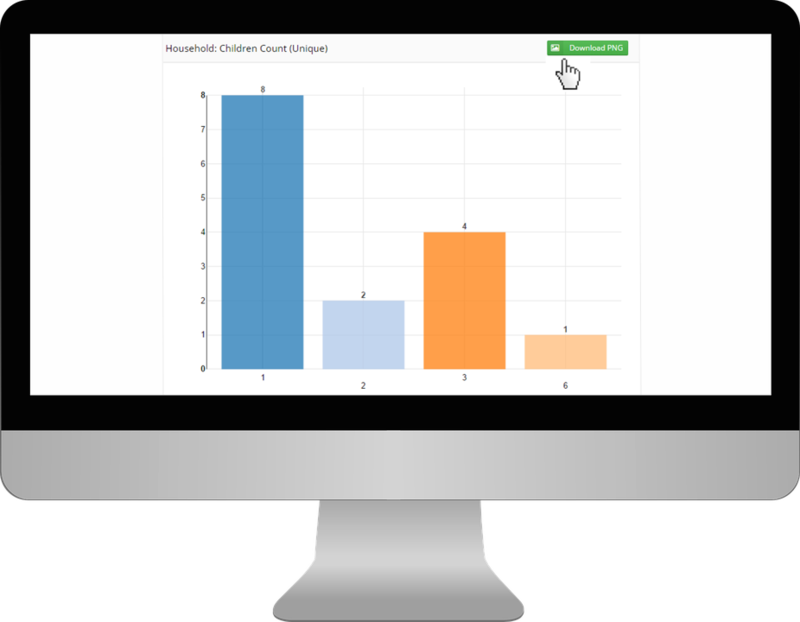 So we created a stunning reporting suite for our food bank and pantry software that makes it easy for you to love data! 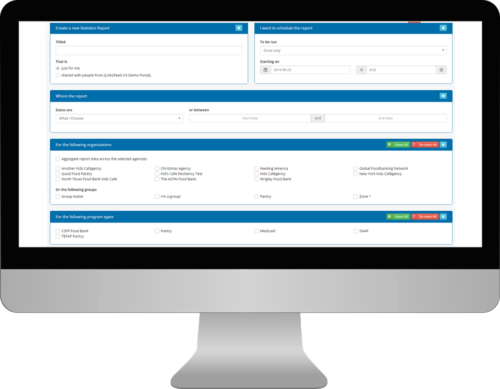 Easily define your reporting parameters including date range, program type and agency details to set the report based on your specific requirements. 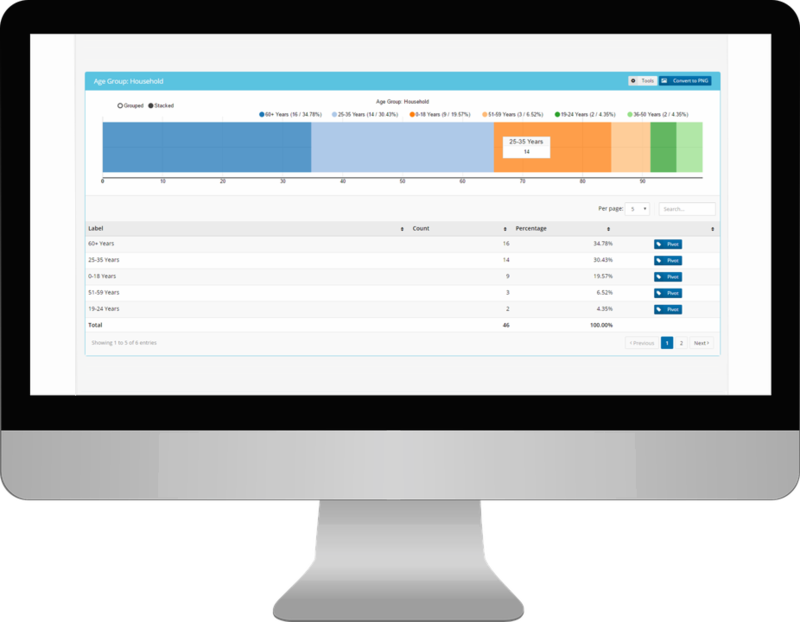 You can even set your favorite reports on a recurring basis so the system automatically generates them for you. 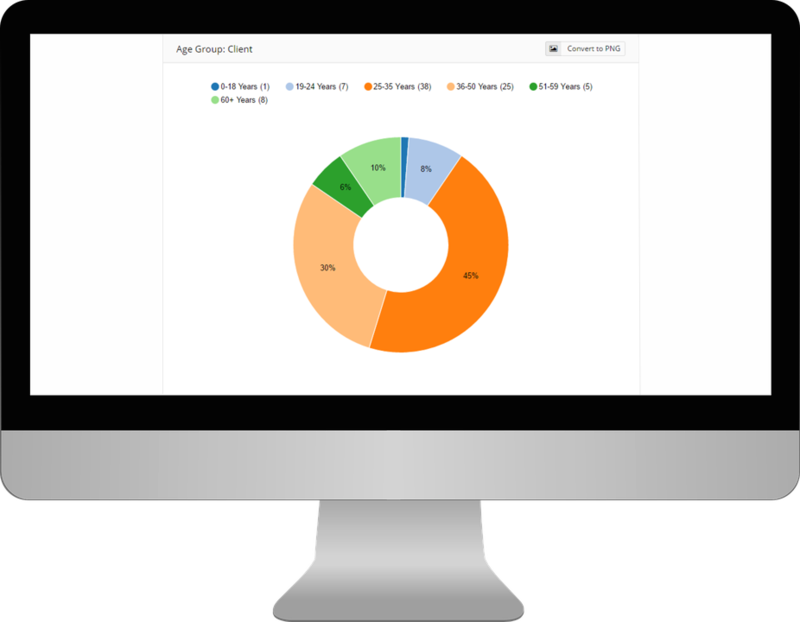 All reports come with supporting visuals like maps, bar charts or pie graphs to make it easy to analyze your data and share your message. You can quickly download these graphics to include in your next report, presentation or grant application. Use data points to track outcomes and quantify the impact of your services. You can even easily export data for import into programs like SPSS, Tableau or ArcGIS for further statistical analysis.